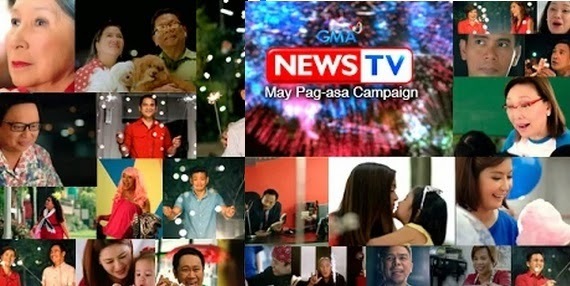 Give GMA News TV some credit for launching a heartrending new station ID, "May Pag-asa." The newest campaign by the Kapuso news channel features the network pillars and other news personalities like Connie Sison and Susan Enriquez, revealing some little known tragedies and challenges behind their success. According to a press release, the new campaign is "a collection of stories of hope aimed to show the power of the human heart to see light in the midst of darkness." Wait, stories of hope aimed to show the power of the human heart? Maybe they should start doing an alternative version with the TAG members sharing more about the network's alleged "unfair labor practice." #MayPinagdadaanan din sila.